Discover more about the Rock & Rapid Exmoor Residential and all of our others today by grabbing your free guide. Simply fill in your details below to get it now. Picture the scene… you and your group of students sat around a fire, lakeside, after a long day. The moon reflecting off the calm water and a stunning clear sky full of twinkly stars. Our base-camp in Exmoor, is sat on the edge of the stunning Wimbleball Lake, surrounded by rolling hills, far-reaching woods and breath-taking views. The real beauty of being situated here is that all the activities you could hope for are right on your doorstep. 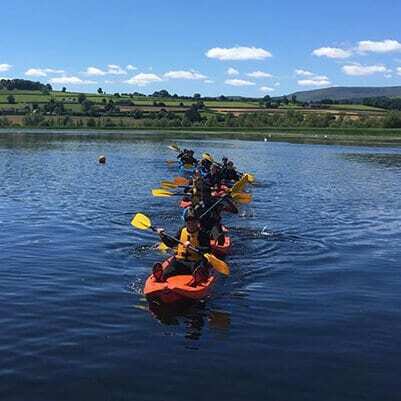 We’ll be Kayaking, Canadian Canoeing and stand-up Paddle boarding, taking your students out on the water to discover this vast lake, working together in the boats exploring the shoreline and beyond. 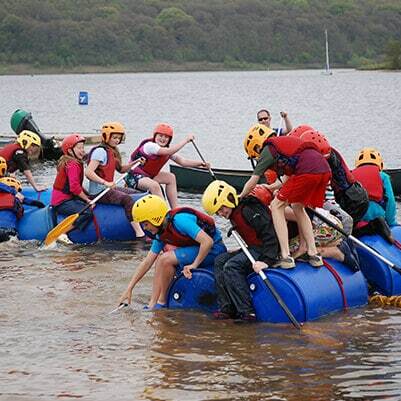 Then the extra fun bit starts, when teamwork plays a vital role as we ask the pupils to take our Raft-Building challenge, which gives everyone a chance to shine. It’s always interesting to see who’s the builder, the strategist, the architect and the “get your hands dirty” grafter. And it’s always good fun when they have to take their raft on the lake and put it to the test, there’s been a few screams and laughs as rafts have started breaking-up before! Away from the water, your students will also get to have a bash at orienteering to explore further around the lake, team-building challenges, and other games and activities, including an evening walk through the lakeside woodlands to the dam. Your food is prepared fresh daily by our staff at the lake, and meals can be eaten either in our marquee or al fresco (depending on the weather!). The students will be staying in our huge teepees that can accommodate up to 10 pupils, which are equip with an airbed to make the stay extra comfortable. This Exmoor beauty spot is also home to some of the darkest skies in the UK, providing astounding stargazing, with many pupils saying that they’ve never seen that many stars before. 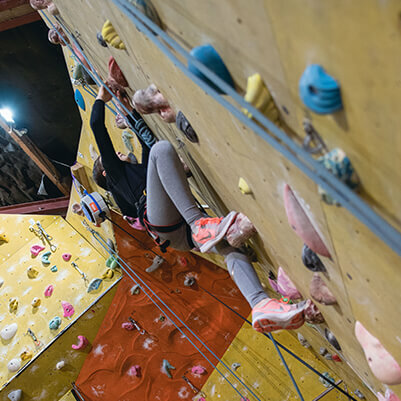 With our full 5-day package at just £235pp we also include a day trip away from the lake to either try the Climbing and Low Ropes Course at our Adventure Centre, or a jam-packed day of Surfing and Beach Games at the beautiful Saunton Sands.